A number of familiar characters return in beginning reader sequels. 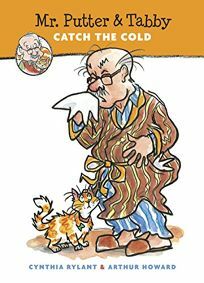 In Mr. Putter and Tabby Catch the Cold by Cynthia Rylant, illus. by Arthur Howard, Mr. Putter is miserable: ""Colds aren't so much fun when you're old."" Luckily, Mrs. Teaberry makes it better with chicken soup, tea with honey and a little help from her bulldog, Zeke.